Offering you a complete choice of products which include roller chain and roller transmission chain. Made available by us is a vast assortment of Roller Chains. Latest machines and advanced technology are employed in the manufacturing process following standards & norms of the industry. Post-production, these chains are inspected on certain well-defined parameters of quality in order to rule out every possibility of defect. 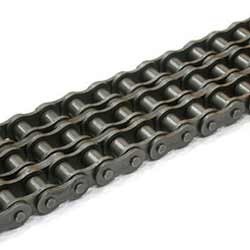 Owing to our vast manufacturing facilities, we are able to offer Roller Transmission Chain. 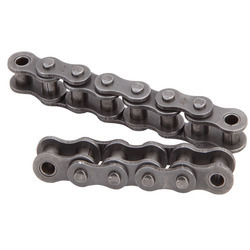 These chains cover fractional to two thousand HP applications and can be run smoother even up to a speed of one thousand RPM. These chains are available as per BSS & ASA standard in simple, duplex, triplex and multi strand. Looking for Roller Transmission Chains ?